YOU DON'T HAVE TO BE PERFECT TO GET STARTED. I've always been a solid womxn. As in, not a waif, always dieting, never wearing the skinny jeans or slim-cut shirts, constantly wondering why I took up more space than the girl in study hall/group fitness class/work next to me. The first comment I can remember on my size came at age 4, when my aunt picked me up and said, "whoa! She's solid. Heavier than she looks." 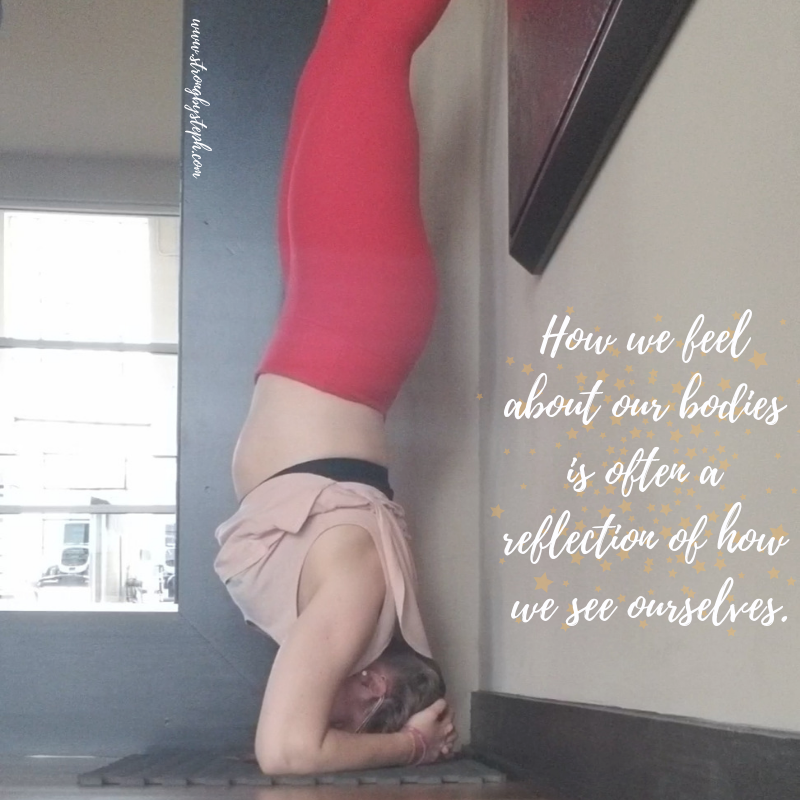 How we feel about our bodies is often a reflection of how we see ourselves. In my case, this led me to choosing activities that reinforced the ideas I already had about my body. I believed my body was wrong (first not small enough, then not big enough...we've been through a lot together, and she's still standing). As a result, I refused to engage in activities that didn't match my self-perception: at first, I was, "too big," to lift heavy, then, I got over that and gained some muscle, and then I was, "too big," in a different context, to yoga. I believed I wasn't good enough to try new things until my body (and myself) matched the model or instructor perfectly. Every once in a while, I'd dip a toe into the water to half-assedly try something new. I'd obviously be terrible at it, both because I was a beginner and because I didn't actually try very hard (if I don't try my best, then it wasn't really me who failed. Sound familiar? 👀). Not acing the class and showing up the instructor, I confirmed for myself that I was, "not a yoga person," and I never tried again. My worth was deeply tied to my performance, which was directly related to my aesthetic. I believed they all had to be perfectly aligned in order for me to actually, you know, do something, all the way, with full effort. But how else do you learn? And is it all about being perfect or performing anyway, or is it about joy, experience, and growth? Kick your feet up today, friend. Let the wind flow through your hair, your shirt fall over your face, your headstand be wobbly.